Apitzhnu | Tech | Phone | Gadget | Autos | En Hub41: New HTC Phone Codename After Royal Wedding? You are here: Home » HTC, Phone » New HTC Phone Codename After Royal Wedding? New HTC Phone Codename After Royal Wedding? By the way, HTC selling profit raise this year, good things right? Just now we know Royal Wedding between Prince William and Kate Middleton has finish successfully and the coverage quite wide til almost all people in the world know it :| . 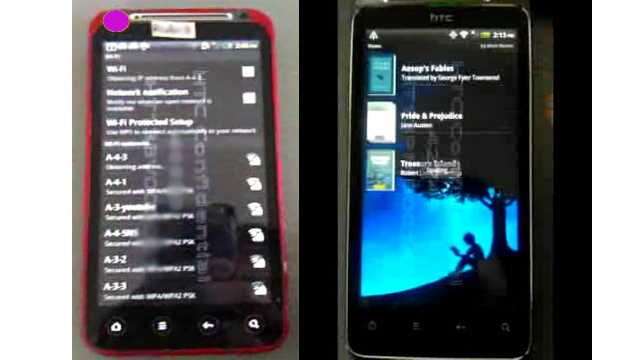 Leaked image above is (maybe) new product for HTC which has code name Royal and Kingdom. Royal which on left hand side has a nice red colour with the design almost same like HTC Evo 4G especially the buttons. On the other one is Kingdom. Not any official news right now. But we sure that HTC will come up a new "incredible" great product.